Large and diverse as our country is, it can claim to only 28 odd UNESCO world heritage sites. Hampi and Pattadakal are both on that exclusive list. 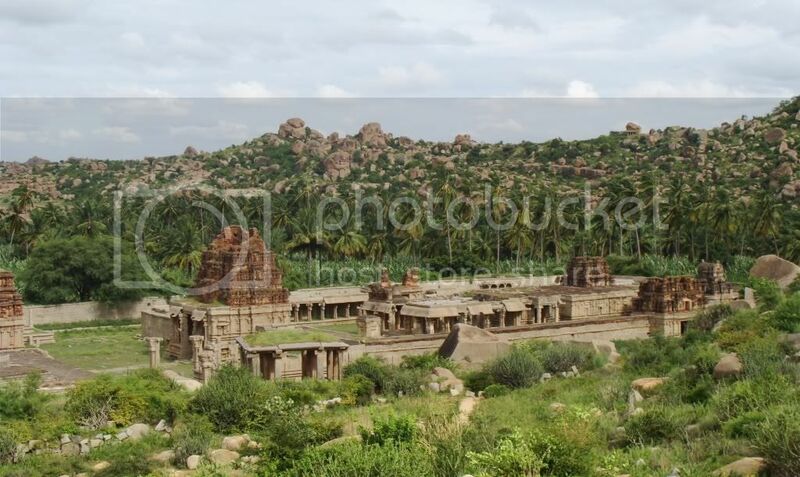 The capital of the 15th century Vijaynagar empire, Hampi had a small but bright existence in India’s vast history (compared to some of our cities which span several millennia), with its rise and decline spanning scarcely 200 years. 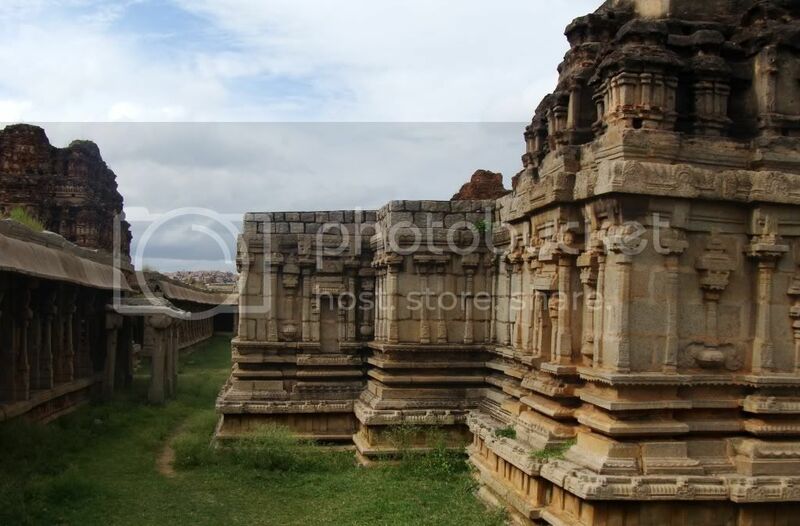 Yet in this small time, it became one of the biggest city in the world at its time, with half a million inhabitants, as traveler Nicholas Conti recorded during his visit to Hampi in 1420. 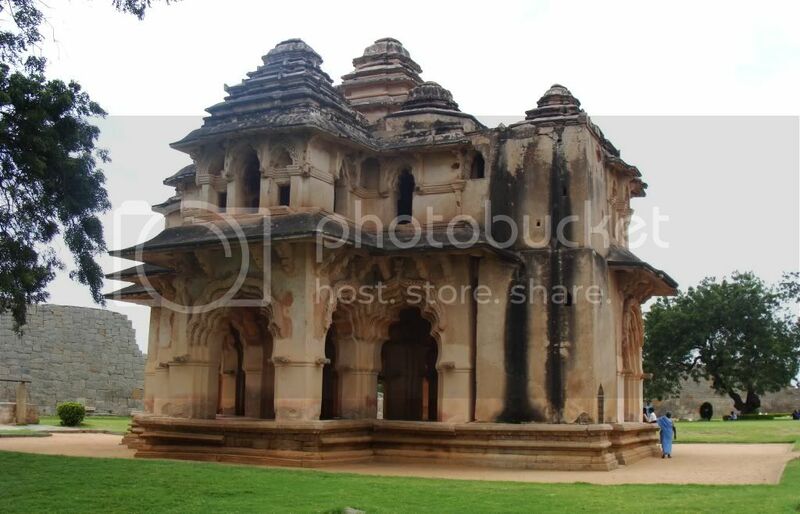 Hampi’s fortunes were linked to the Vijaynagar kingdom, which flourished between 1350 and 1565. 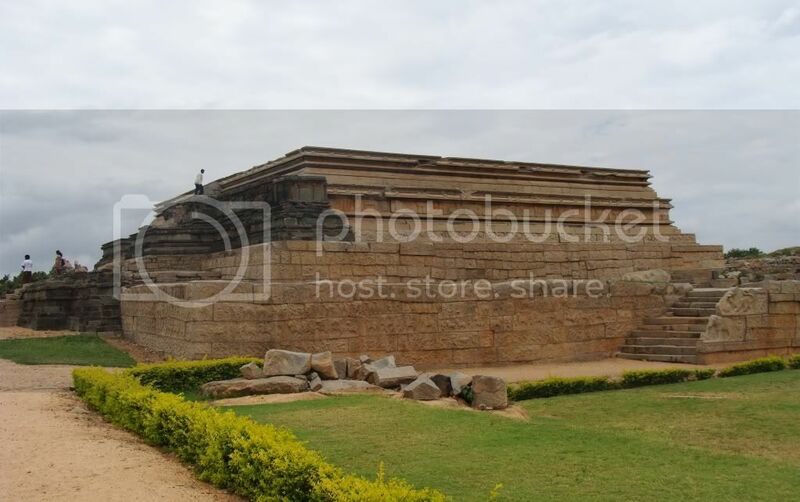 They built their capital near present day Hospet in Northern Karnataka (10km from away) in a hostile-looking rocky landscape flanking the Tungabhadra river. Honestly, if I were looking for a spot to build my new capital, I’d have chosen someplace else, but the rocky landscape did provide natural defensive structures. The landscape can be best described as low lying hills completely covered with ochre colored rocks (granite) – much like sprinkles covering a cake. 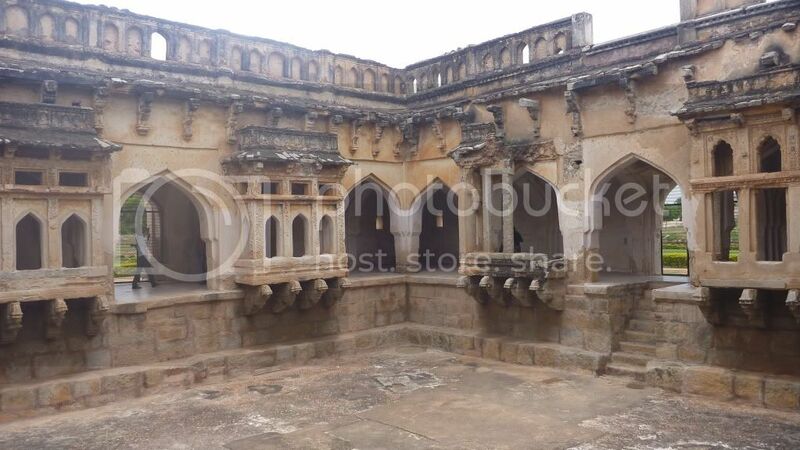 The prosperity of Vijaynagar Empire fuelled the rapid expansion of Hampi in all directions – till the Raya dynasty was defeated and plundered by the combined forces of three Muslim kingdoms around it. The victors defaced most of the temples and soon the whole city was abandoned. And it remains like that today, crumbling and overgrown with reeds, spread over a huge area. Comparisons with the city of Angkor Thom in Cambodia are not completely unwarranted – both had brief but prosperous existence, then abandoned and now all that remains are impressive ruins. Angkor Thom precedes Hampi by a couple of centuries and the jungle had reclaimed much more of the city – Hampi had a drier climate and hence the vegetation around it is sparse. We began our trip from Mumbai on the Chalukya Express. There is only one train which goes from Mumbai (actually Vasai Road and Kalyan) to Hospet direct – the Ajmer/Jodhpur Yeshwantpur Express. But we didn’t get tickets on it and there aren’t any good flight options. So the next option was to take the Chalukya Express to Hubli which we reached at 1pm, where we waited for 3 hours and then caught the connecting train to Hospet. The total travel time was 22 hours, which would be down to 15 hours if you can get tickets on the direct train. 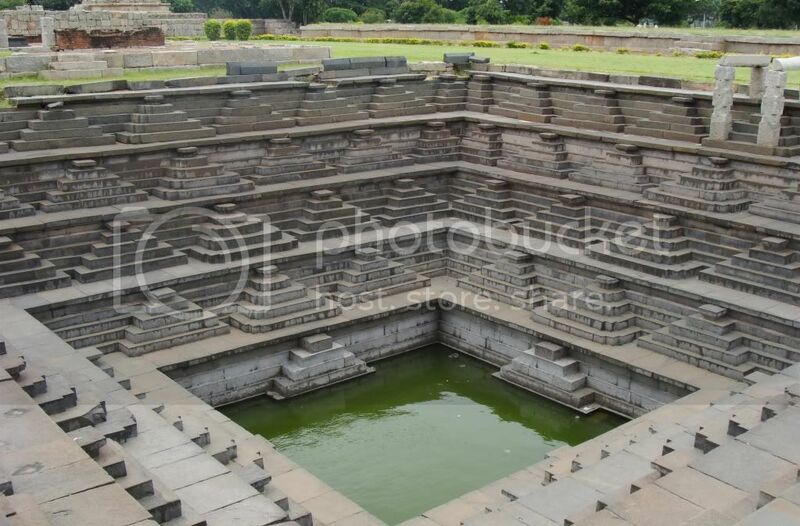 Hospet offers a multitude of staying options, both in city proper and near Anegudi village, closer to the ruins. 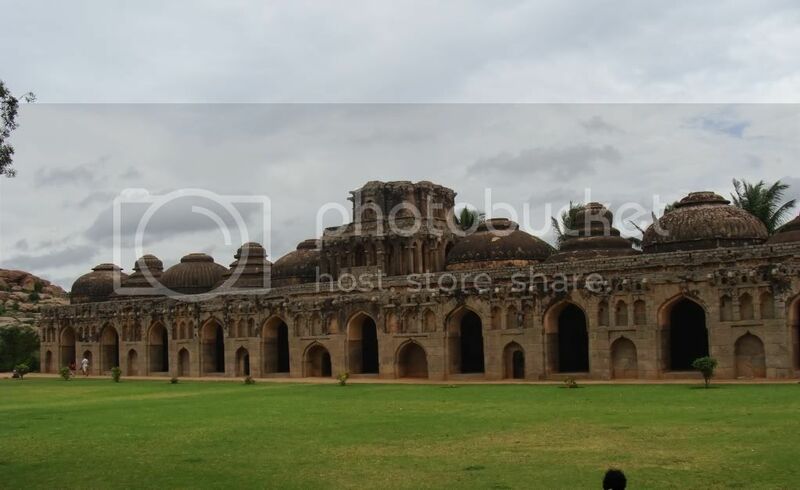 Hampi is a popular destination with foreigners, and hence the food scene is quite good – there are a lot of restaurants serving wood fired thin-crust pizzas and fairly good continental fare near the ruins. 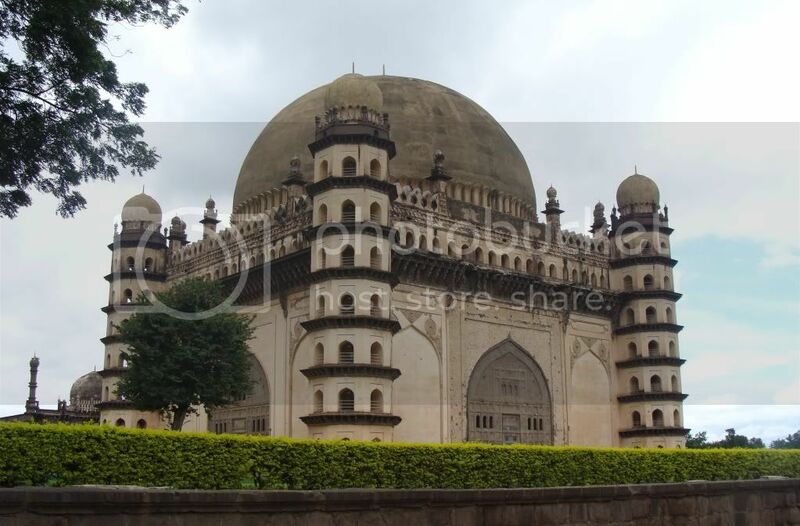 The city of Hospet itself offers more Indian options as well. We didn’t stay in hotels ourselves – we stayed with our relatives in the city, and were joined there by Suchi’s parents. Looking at the beautiful sculptures and ornate carvings, you would never have guessed granite can be fashioned so beautifully into mythological creatures. 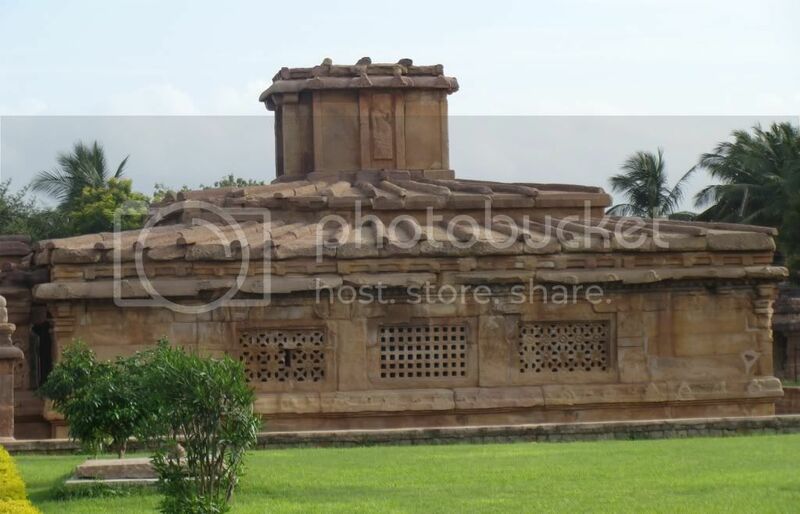 The Vittala temple is situated inside one big compound. 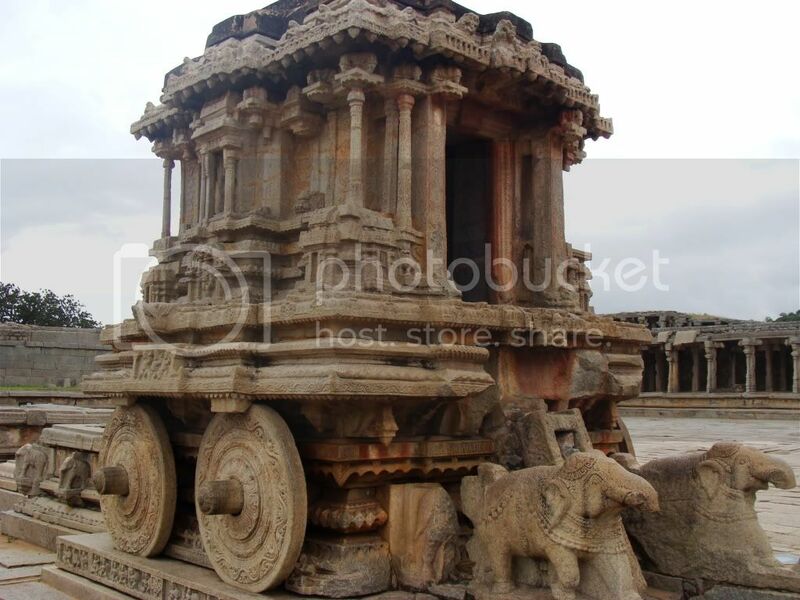 The most recognizable structure in that complex (and Hampi’s trademark image) is the stone chariot. The other famous structure is the musical pillar hall. Each pillar in that musical hall produces the sound of a particular musical instrument when struck. We still dont understand how they made it, and you cant help but wonder at our glorious past. Unfortunately, that hall was closed for renovation by the ASI when we visited. Once you are done with the Vitthal temple, before you take the golf cart for your return, you can take a walk down to the Tungabhadra river. Just follow the road on the temple’s left and the riverbank is just 5 min away. On the way you can spot the King’s scales – a giant doorway sized arch from where a huge scales used to hang where the king would weigh himself with goodies which would be then distributed to his subjects on special days. Only the arch remains. At the riverbank, there exist an old stone bridge across the river. In summer months, when the river is shallow, the bridge is usable. But in Sept, just after the rains, with the Tungabhadra in full spate, you could barely make out the bridge. It is a nice soothing spot to have a cup of tea, maybe munch on a few hot vadas and watch the river flow by. Also, do not get too close to the river – there are more than one signboard saying watch out for crocodiles ! A large platform where the King presided over processions etc. While the top is completely flat and bare, the sides of the platform are carved with soldiers, camels, horses and elephants. Standing atop the platform, one can get a good view of the entire royal enclosure. The palace itself was constructed of wood and hence nothing survives except the stone foundations. Of the darbar hall, only one portion remains, resembling today’s stadiums. This temple, located a small distance away from the royal enclosure, was probably the royalty’s preferred temple. 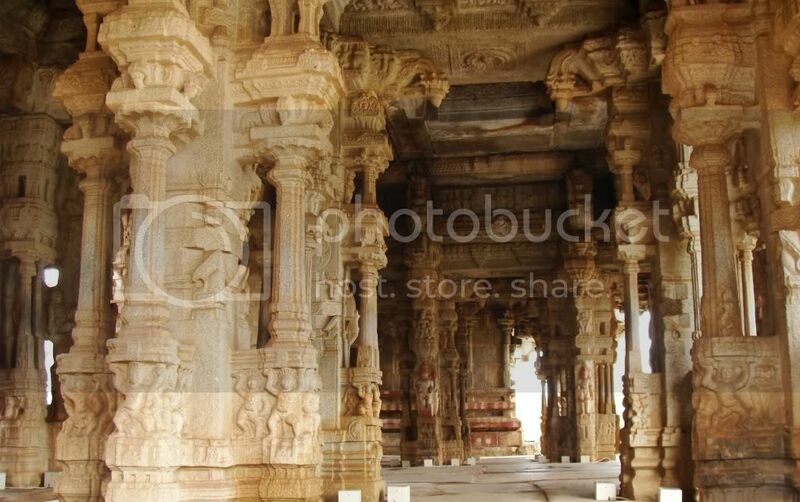 The temple gets its name from the stories from Ramayana carved all over its outside and the outer enclosure walls. It is fun to try and identify the sequences carved on the temple, but you have to be strong in your Ramayana. From the royal enclosure, we moved to the ladies enclosure. Surrounded by high walls and with its own guard towers, the royal ladies of the Vijaynagar led a protected life. Three of the guard towers survive, and they are the most curiously shaped towers I have ever seen. Situated next to the ladies enclosure are the elephant stables. Accessible from the ladies enclosure via a small gate, the elephant stables are a row of 11 elephant shelters which have survived in very good condition. The interiors are huge, accommodating elephants in utmost comfort I am sure. They definitely put a Mumbai 1BHK to shame. 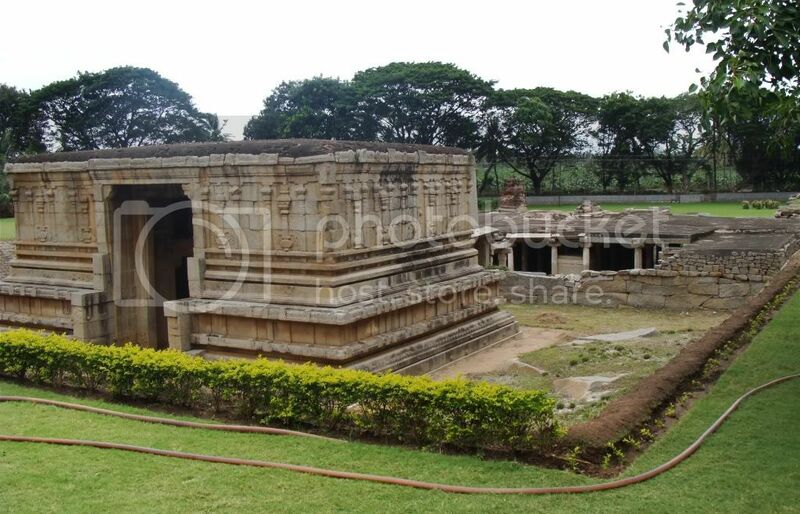 A temple dedicated to Krishna after one of the Raya kings came back victorious from a war against the Kalinga Empire. This is the only other temple which has a gopuram apart from the Virupaksha temple. 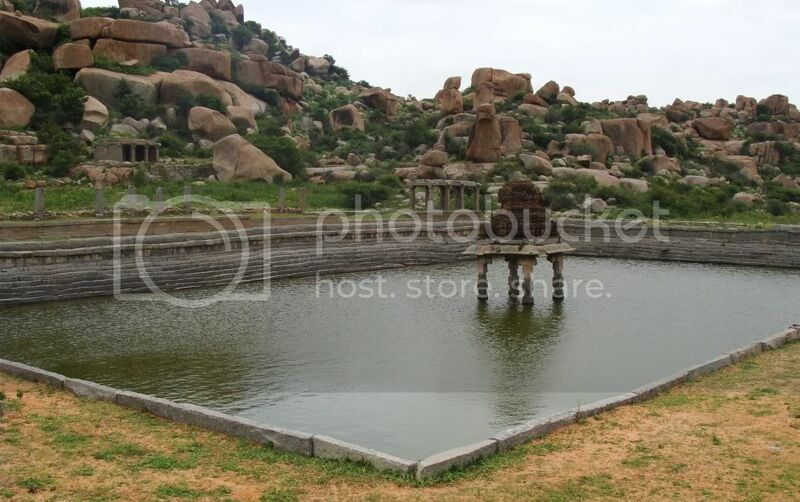 The other famous temple in Hampi – closest to the entrace to Hampi and the first one usually seen by tourists. 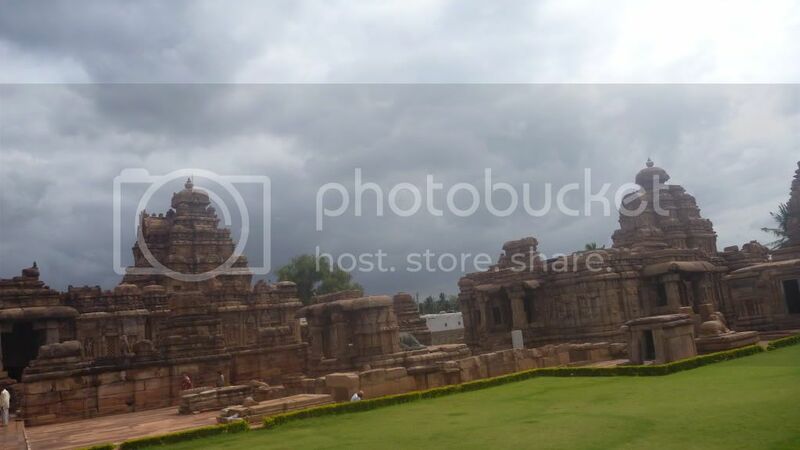 Situated at one end of the Hampi bazaar, Virupaksha temple towers over the surroundings with its huge gopuram. 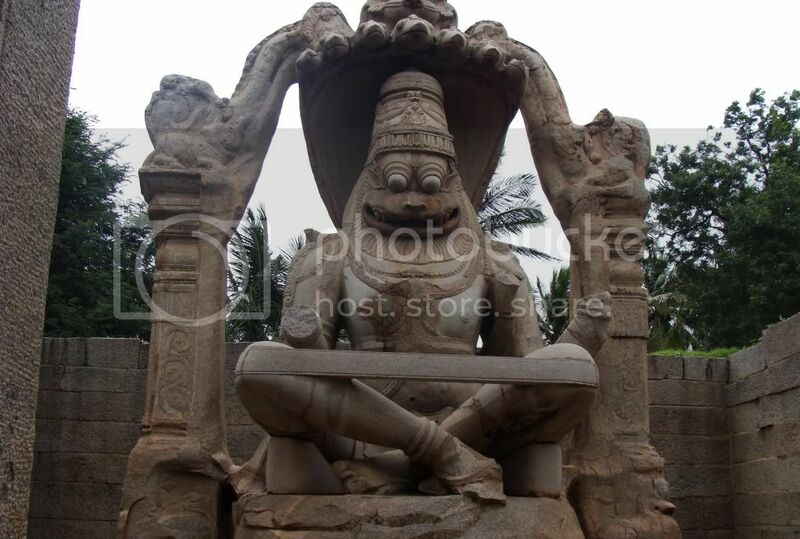 It is the only temple in Hampi in which active puja still goes on. For history buffs like us, it is a little putting off as active temples invariably spoil the history of the temple. As feared, the stone sculptures inside the temple had been painted over and the ASI was hard at work scrubbing the paint off. The other interesting part of the temple was the pinhole camera room. 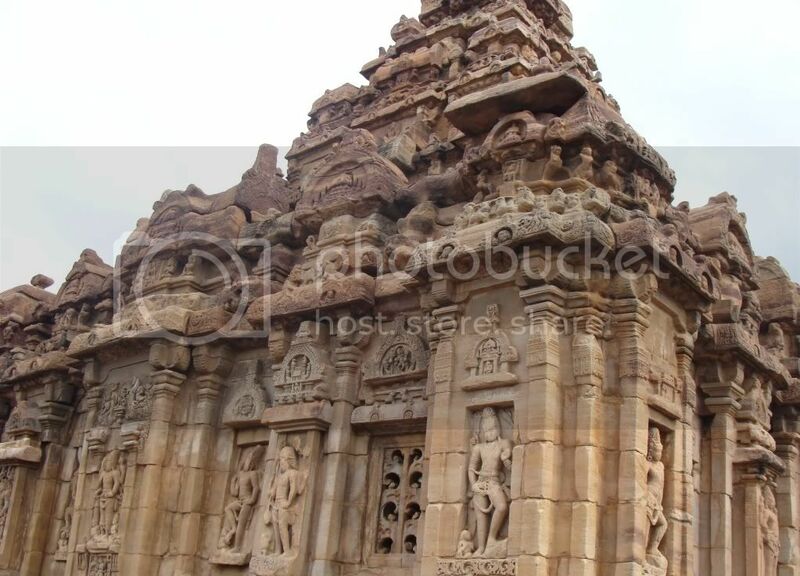 The makers of the temple had constructed a pin hole camera with a window, so that the inverted image of the gopuram can be clearly seen on the wall. When you consider it was done 800 years before, you appreciate it even more. 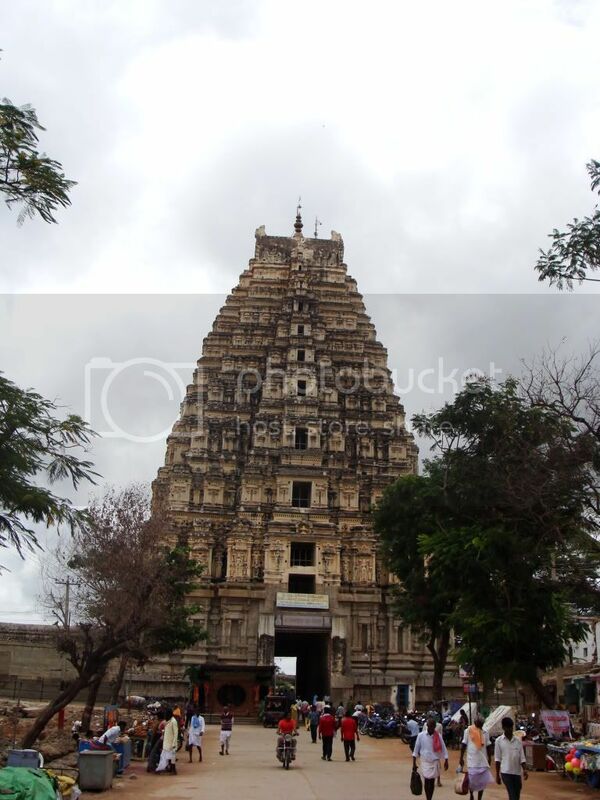 The Virupaksha temple is very close to the Tungabhadra river, where a ghat has been made for religious practices. Closeby are multiple restaurants offering continental food to tourists. The last (and my personal favorite) temple we checked was the Achyut Raya temple. 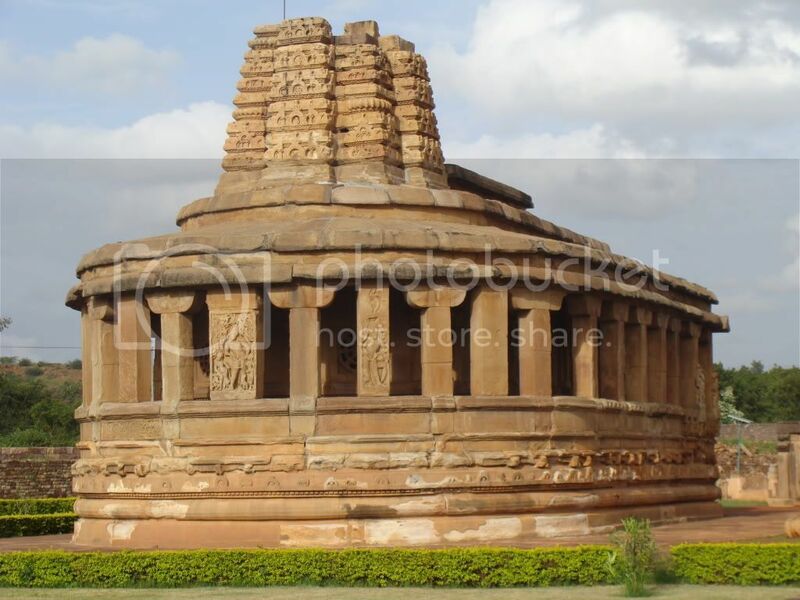 Constructed by a king of the same name, this temple is a little difficult to get to, but because of its secluded location, gives a very Indian Jones feeling. There are two ways to approach the temple. 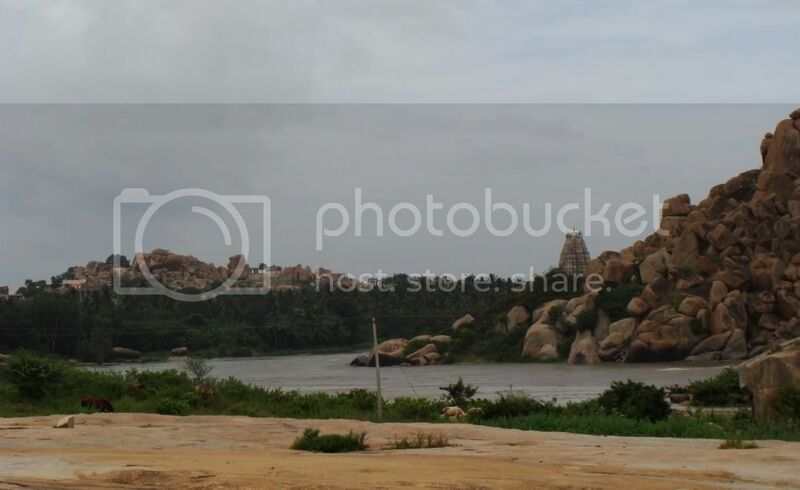 One is from the direction of the river, upriver from the old Tungabhadra bridge. The other (and much more cooler path) is to walk towards the other end of the Hampi bazaar (away from Virupaksha temple) and towards the statue of Nandi. There are steps next to the Nandi statue climbing up the hill. Once you cross the hill, you can see Achyut Raya temple on the other side below. And so finished our Hampi darshan. 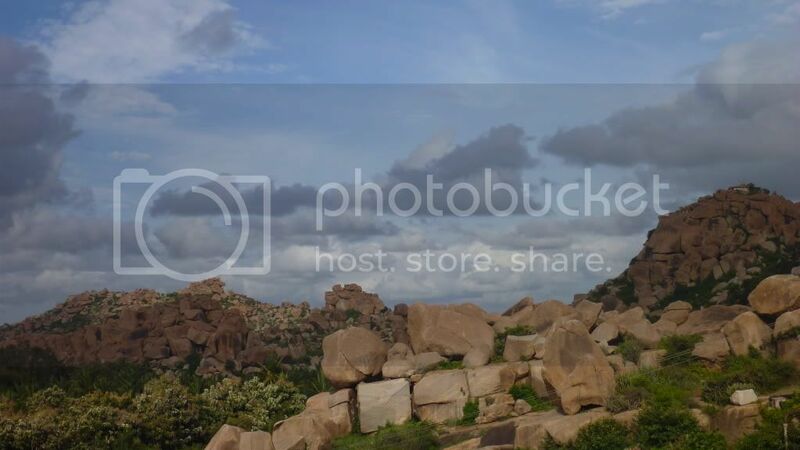 Have to strongly point out, this is in no way an exhaustive list of things to see in Hampi. We have not mentioned some things that we saw (like the two ganesha statues) and a lot of other things we couldn’t see. 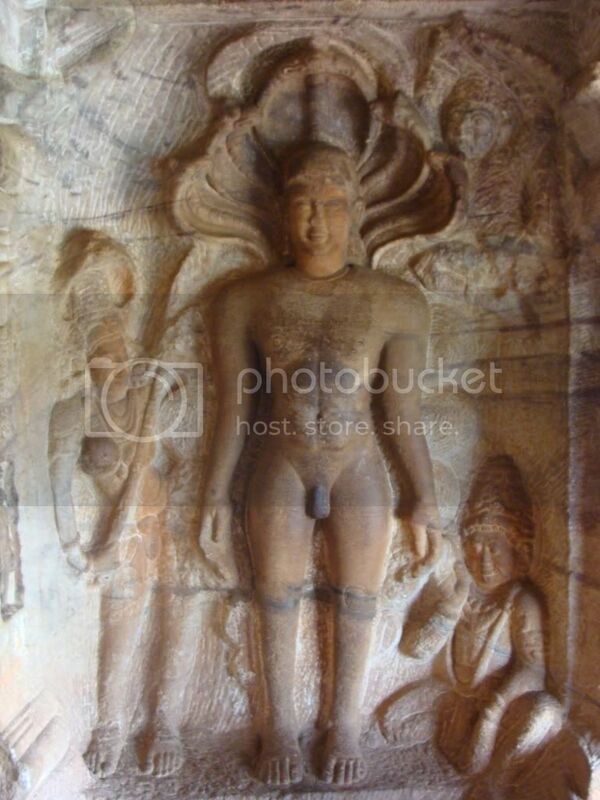 The Chalukyas carved 4 largish cave temples in the almond-colored sandstone, not very unlike the Elephanta caves in Bombay. However, the quality of craftsmanship is breathtaking and miles ahead of anything else. And you really thank providence (or whoever else is responsible) that they survived 1400 years with very little damage. 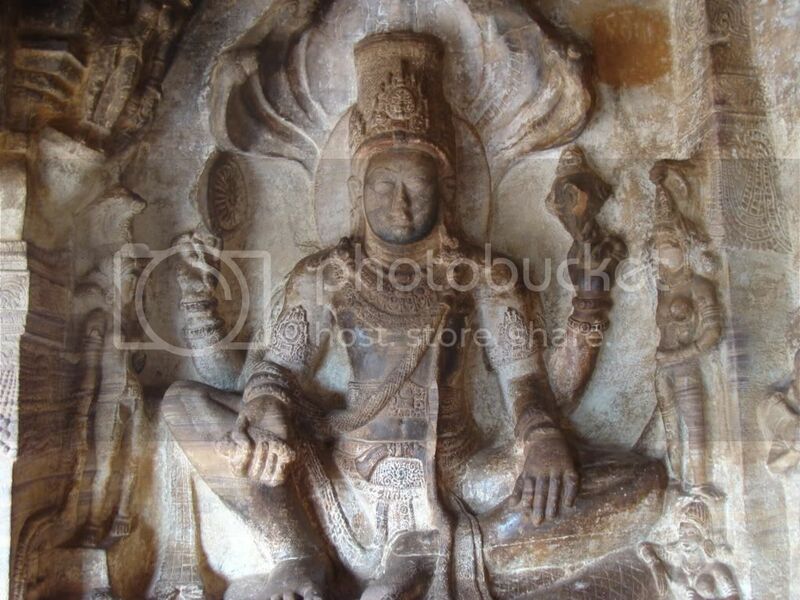 The second and third cave are dedicated to Vishnu. 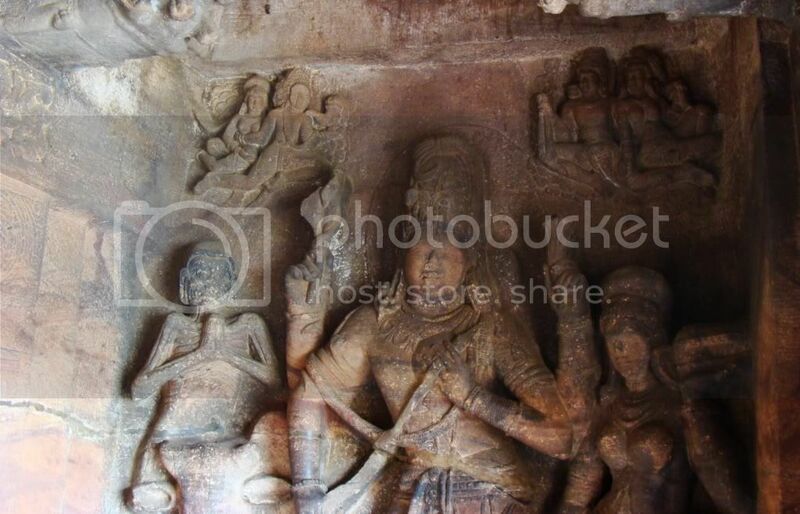 The third cave seems to be a magnified version of the second cave, with both caves having statues of Varaha, Ram, Narsimha, Vamana and Narayan avatars of Vishnu. The finer details are still visible in most of the statues, and you cannot help but gape at these giant sculptures. 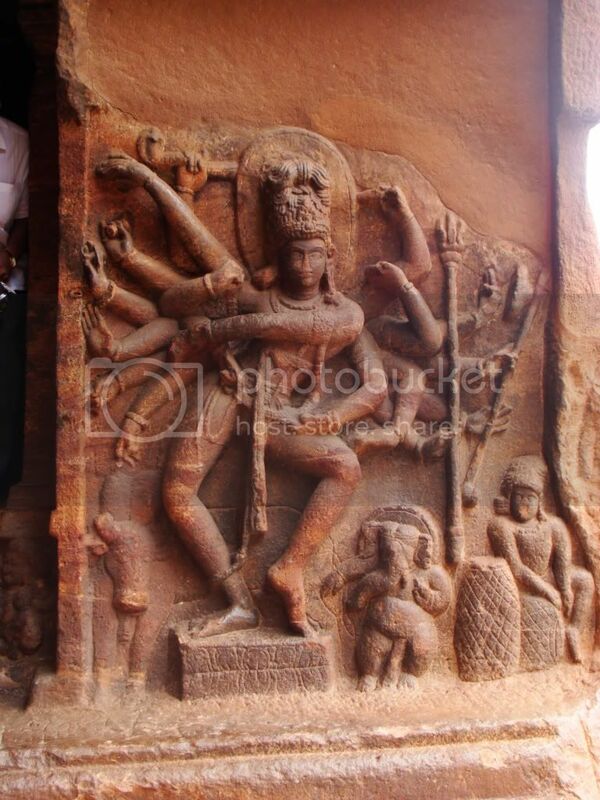 The Durga temple at Aihole is the most famous one and has a curious floorplan with a rectangle with semicircle at one end. It has a corridor running all around the temple and the walls are covered with depictions of all major gods. 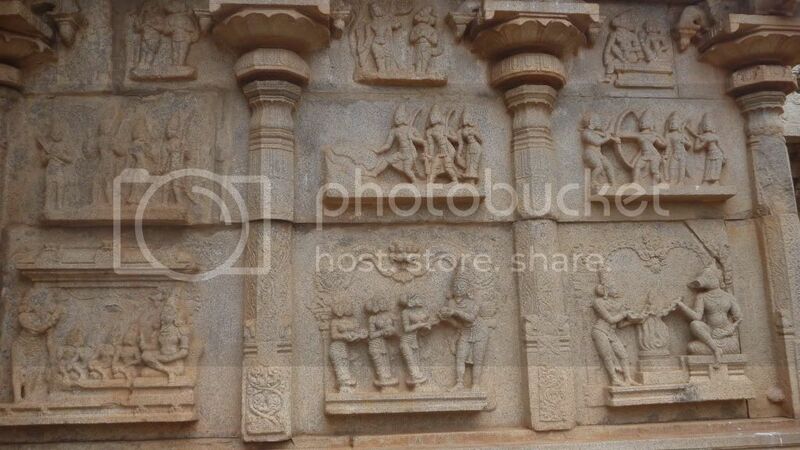 By this time we were dead tired and didn’t have energy to explore anymore of Aihole. So we retired to the comfortable (and very value-for-money rooms) of KTDC resort in Badami. But the climb is worth it. At the opposite corners of the dome, during momentary pauses in the screaming, carefully whispered words can be heard clearly by the other person across the dome.